I wouldn't have even compared the two, given that Defending Your Life isn't an anthology trying to shoehorn as many actors into two minute roles as possible, but it's certainly a better execution. Plus I generally find Albert Brooks amusing, though anyone who doesn't would have a tougher time. Au Revoir, Les Enfants (1987) got a lot of acclaim at the time. Louis Malle is indeed a director with an impressive track record, but the movie resists instantly seeming great. At least it did for me – it was certainly interesting and worth watching, but I didn’t really see the superlative quality supposedly present. Until the end, when it takes on a new dimension. Malle said this had considerable autobiographical importance from his own life, and it isn’t hard to read things that way. He was about the same age as the protagonist, and much of it is based on his own recollections. I have no idea why boys would attempt a goofy game that resembles soccer played on stilts, but it’s ridiculous enough to have come from real life. The bulk of the film is just a boy going back to his boy’s school in southern France for the fall of 1943 and winter of 1944. What makes this memorable, aside from the setting of occupied France, is that he has a new classmate. While this boy’s official name is Bonnet (which inspires endless ribbing from his classmates), he looks rather Jewish. Most of the movie depicts the interaction between these two, who end up kind of getting along despite not sharing much. Bonnet’s family is scattered, so is our lead’s. They interact in various ways in the classroom, on a scavenger hunt outside the school grounds, around the campus, and with other boys. Aside from a housekeeper there isn’t much of a female presence save at a dinner in a formal restaurant where Bonnet joins a mother and witnesses the staff being compelled by toadies to expel a Jewish man. The excursion into the woods for the scavenger hunt also ends with them being out after curfew and having to hitch a ride with German troops back to the school, but is otherwise not a problem. Not much of an overall plot emerges, it’s a slice-of-life for the most part. Given that this time and place haven’t been explored much outside of France, it’s quite interesting. The conclusion is where it takes on a greater gravity though, as someone informs to the Nazis that Jews are in the school. The narration that accompanies the final images comes from the director, not his onscreen avatar. When he describes images that have stuck with him for 43 years, there’s no doubt that it’s autobiographical. The conclusion is very strong, but this is absorbing throughout, and I can see why Academy voters granted it Best Foreign Picture honors in 1987. The output of John Wayne is something that, in general, I enjoy. Thus it’s disappointing when I come across something like Chisum (1970) that doesn’t measure up. Sure it’s got nice moments – I’d be hard-pressed to come up with a Wayne movie that lacks any. Most of it is a muddle though, and not worth experiencing as a whole. The story is set in the Arizona that played host to Billy the Kid and Pat Garrett, both of whom feature in the proceedings. Wayne is Chisum, local rancher with problems. Billy the Kid and Pat Garrett are not major players until the final act, though no one is really the lead in this oddball narrative. There’s another good Wayne moment early in the movie when he responds to some rustlers trying to sell his own cattle back by offering nothing but lead as payment, but mostly this meanders along with Billy and Pat Garrett doing some stuff. They seem to develop a grudging respect of sorts, although merely being a setup for the later relationship of these two is a poor reason to exist. The climactic gunfight sidelines Wayne for most of its length, and aside from charging cattle into the streets to undo a barricade the action is merely okay without exceeding that level. It’s kind of confusing at times, and not in an interesting way. Rare is the John Wayne movie I would pronounce worthless, but this one isn’t really worth remembering. Something timely for a change... Paranormal Activity: The Ghost Dimension (2015). I'll give it this much, some of the early moments are indeed freaky, in the same way this series usually managed. It ignores the fifth movie and mostly connects to the third, with the sight of characters watching some of the same ostensibly-VHS footage that viewers saw in the earlier movie. I don't remember many VHS camcorders that recorded in widescreen, but fine. Maybe it's because the tapes are being viewed on an HDTV that resizes the image. Where this thing kinda falls apart is in the structure and narrative. We've got another group of new characters, a married couple and a sibling for each one, plus their daughter. Leila is the daughter, and I just have to emphasize that she looked really small for a kid supposedly 8 years old. Might be only me. While putting up Christmas decorations a box is found to contain a bizarre VHS camcorder, along with a pile of tapes. The camcorder is unexpectedly fascinating, and proves to be the only means of observing the sinister things that occur. Will these sinister things be rather similar to prior Paranormal Activity movies? Yes they will, no question. Will we eventually get the series' time-honored setup of several cameras for night observations, complete with occasional fast-forwarding and constant date stamps in the corner? Sure thing! I can forgive the storytelling for not being riveting, it never has been in this series (though four screenwriters are credited for this one). The characters are pretty darn stupid though, and there's no getting around it. I think most parents, if confronted with rather conclusive evidence that their child is being menaced by something supernatural, would act on it a lot faster than these people do. I kept wondering where Uncle Mike and Aunt Skyler were at times, too - these two just pop in and out of scenes as if the screenwriters couldn't remember to keep them involved. This time the supernatural forces get shown a lot more, as some kind of inky splotches that move around in the air. It's interesting, but not necessarily scary, to see that stuff. The mysterious/magical camera never really gets explained either, so I'm not terribly happy with it. What left something of a sour taste in my mouth was the conclusion, which delivers a body count for all the people who have to have one. It also leaves the door open for a further continuation of this series, even though #6 is supposedly the last. It didn't make much sense (and actually made me think a bit of Insidious Chapter 2, of all things) and had no real suspense. I can tell WHAT happened but not necessarily WHEN, and trying to untangle it just feels like too much effort. I don't regret seeing it, but this was not the finest hour for the series. The output of John Wayne is something that, in general, I enjoy. Thus it’s disappointing when I come across something like Chisum (1970) that doesn’t measure up. ... Rare is the John Wayne movie I would pronounce worthless, but this one isn’t really worth remembering. I found McQ (1974) and Hatari (1962) fairly unengaging. But I guess that if you make a lot a movies, some of them are not going to turn out as well. Ah me, every movie can't be a McClintock! (1963), I guess. On the note of John Wayne movies that aren’t really worth seeing, North to Alaska (1960) definitely qualifies. Duke could be funny, but usually it was with deadpan one-liners or unexpected reactions to serious situations. Putting him in something intended as a real comedy was a risk, and many times risks don’t pay off. This one though, which started with an incomplete script and was just expected to develop during the filming, had other strikes against it. Our situation is that Duke and a pal have gotten rich mining in Alaska during the gold rush, and the pal’s intended beau (Capucine) can now be fetched from Seattle. Actually, the plot only develops after a barroom brawl which throws out cartoon sound effects in a desperate attempt to be funny that flops. Wayne spends half an hour in Seattle before the woman finally comes up north, and that awful pacing continues throughout. This thing lasts well over two hours and badly needed pruning. I could say more, such as having Fabian for a costar and listening to him sing a needless song just makes the thing even longer. There’s another barroom brawl at the end, just as not funny and just as frantic in its efforts to convince the viewer that it’s hilarious. There’s the situation of three men on an isolated gold panning stretch in Alaska all trying to treat a woman nice which could have been funny – and isn’t. I guess the cinematography is nice, but it’s not world-beating. Really, I can’t come up with much nice to say about this, and it’s not worth belaboring what a waste of time it is. McClintock! has good moments, and bad. I liked the energy level, but the climax is hard to overlook nowadays. The fight in the mud pit was decent, yet seeing Wayne spank Maureen O'Hara while a crowd applauds isn't very funny now. Better than North to Alaska though, by a good margin. Well, it's hard to watch/read something old without coming across a clinker like that. But, even now, comedies skirt the edge of what's acceptable IRL, or go completely over said edge, so Mclintock! is in the middle of a naughty pack. I guess there's been some improvement over the years, but not a ton. It's weird that in The Quiet Man (1952), Wayne's character was encouraged to give O'Hara's character a beating with a rather large stick, It's almost like the rule is "Duke sees an O'Hara, Duke domestically abuses an O'Hara". Almost. How about something newer, that manages to be terrible in the way only bad comedies are? Superstar (1999) is such a beast. Yes, I went there. I watched a Saturday Night Live movie. The Blues Brothers and Wayne's World 1 & 2 are the only good examples of those. Here's one of the bad. Mercifully, we don't get many of these now. The central problem in any bad comedy is that it's not funny. Now, maybe if you were a fan of Molly Shannon's character in the sketches from which she originated, this might appeal. I never got what was amusing about her in the first place, and then this movie subjected me to 80 minutes of her. Ouch. We've also got Will Ferrell, though he's pretty much just a dude in school with a mullet. Except when he appears as what is described as Mary's subconscious REM mind's picture of Jesus, which allows us the opportunity to see what Will Ferrell would be like as Jesus if the script was lame. How lucky. At least I'm fine with "Spirit in the Sky," though it gets overplayed. So, is it funny when this character shows her underwear? Or when she does a monologue from an (invariably better) movie? Or when she tries to practice kissing on inanimate things like trees and sign posts? I didn't think so the first time, so the slight variations on these things that happen later certainly didn't endear me any more to the thing. There's a perfunctory plot that I wouldn't mind if I was laughing. Since I'm not, I have to wonder where all the lights and choreography came from at the climactic danceoff. What kind of Catholic school would have a talent competition to raise money for fighting VD, anyway? The idea of that being floated is funnier than anything in the movie. Haven't seen that one, probably because of my policy to not watch SNL movies until the public raves about it. It's been working pretty well, so far, ho ho. Something else that's timely! Spectre (2015). So there's this fellow in MI6 with the name of James Bond. People seem to have heard of him. This could be Daniel Craig's final appearance in the role, and if so, I'd say it's a fine sendoff. While I wouldn't put Spectre quite at the level of Skyfall, my moderate expectations after reading some reviews were exceeded. Again, I wasn't blown away, but merely delivering an action movie that doesn't insult the intelligence or look as if it was completely put together with computers in the present is an accomplishment. Anyway. Spectre makes clear that all of Craig's Bond movies are linked, although the connections it posits don't necessarily hold up to tight scrutiny. The relationship it establishes between Bond and Christoph Waltz's villain isn't developed as fully as the one with Silva in Skyfall, and Lea Seydoux's relationship with Bond isn't as well done as Casino Royale's. I never thought they were done poorly though, just not as fleshed-out as could have been. All the principals from Skyfall are back, even a (very brief) Judi Dench appearance as M. Ralph Fiennes is the new M, and just fine as I'd expected from him. We go on a globetrotting tour like usual, with a lively Mexico City pre-credits sequence that leads into the central storyline. It's off to Rome from there, with a stop in the Austrian Alps before heading to Tangiers and a hidden facility in the Sahara before hitting London at the close. All of it filmed on location, and quite impressive to behold. Action? Yes, we've definitely got that. The Mexico City sequence features some highly unsafe helicoptering, Rome has a pretty darn good car chase, the Alps let us see the ridiculous-yet-entertaining spectacle of a prop plane somehow not stalling when it hits the same speed as cars on a mountain road, a nasty hand-to-hand on a North African train, and some very unpleasant needle work in the secret villain facility. We also have a couple of moments when the villain triggers an elaborate scheme to kill Bond instead of just shooting him, and a sequence in which Bond's amazing accuracy is displayed while many henchmen fail to come anywhere near him with their bullets. The schemes didn't bother me, and the poor marksmanship of henchmen has become such a standard of action movies over the decades that its (relatively) restrained use here made me smile. Christoph Waltz is a bit underused as the villain, which is disappointing since he's such fun to behold. 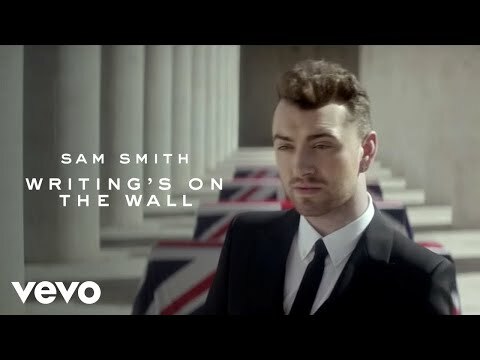 I liked the orchestration but didn't care for the vocal on the title theme - Sam Smith says he wrote the lyrics in under 30 minutes, and it kind of shows in a few strained rhymes. A significant element, that of an overarching security agency that seeks to unite the intelligence apparatus of multiple countries, doesn't quite get enough time to be believable (though considering it's appearing in a James Bond movie, maybe that's unnecessary). Some of the digital stuff was a bit hokey looking. Overall though, I'd say it's in the upper tier of Bond movies overall. Not the best, but certainly a long way from the worst. Good to know with Spectre! Maybe I'll catch it if I get a chance. I like Bond, but my wife's not a fan, so there's a good chance I'll wait for video (or Netflix). Did you see The Martian, Mike? I did not. It's been sticking around long enough that I should have the chance soon though. Dracula A.D. 1972 is something else. Let's start with the score. See, that is music I would never have associated with Dracula. Let alone Dracula and Van Helsing doing battle in an abandoned London monastery. The theme is used in multiple fashions by Michael Vickers, and slowing it down does give it a more ominous feel. The final confrontation, though? It uses the title theme pretty much unaltered. What a choice! This is the sixth time Christopher Lee played Dracula for Hammer, but this movie ignores prior continuity - as it had to, given the setting. Peter Cushing is back as Van Helsing for the first time since 1960 though, and the man turns in the professional performance he always did. Even when spouting off about how vampires work for the umpteenth time, he sells the lines. We begin with Dracula and Van Helsing doing battle aboard a runaway stagecoach in England, 1872. The coach crashes and Dracula somehow winds up with a broken wagon wheel around his shoulder, with one spoke in just the right position for the mortally wounded Van Helsing to shove it in as a stake. Some skulker picks up Dracula's imminently provided ashes, Van Helsing is buried, and with a jet plane hitting the skies we cut to 1972. Then we get a band that never went anywhere playing a couple of tunes at a party, while nothing else interesting happens for awhile. Eventually things shake out and a number of young people go with some guy named Johnny Alucard (could this be significant?) to an abandoned monastery, where he freaks them out by invoking various demonic presences and calling upon Dracula. One of the people here is a Van Helsing, the granddaughter of the grandson of the original Van Helsing, who conveniently looks identical to his ancestor. This woman is the key to the proceedings, but when she runs off Johnny makes do and succeeds in reviving his master. Christopher Lee isn't in a whole lot of the movie, sadly, but he's awesome whenever he does appear. Soon enough bodies start turning up and the police are baffled at the means of death, while Van Helsing's explanation isn't exactly one that would immediately fly with authority figures. What happens from there is more effective than I expected. 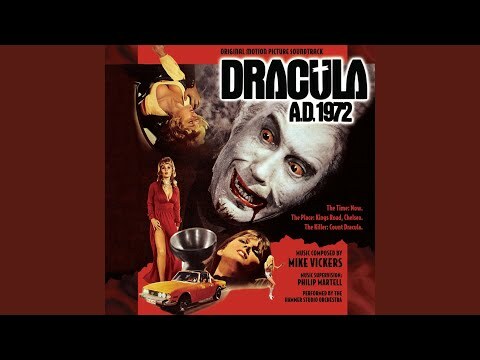 While the movie dates itself horribly every time 1972 is thrust to the forefront, and some of the fashions in particular are terrible reminders of the time, the central Dracula - Van Helsing dynamic is strong. Not a great Hammer movie, but much better than I was prepared to endure. Released in the same year, but occupying some other portion of the movie continuum is the blaxploitation vampire movie, Blacula (1972). It's a fantastic movie ... if you're in the mood for some MST3K-style action (I frequently am). There's a surreal musical number scene with The Hues Corporation that I can't un-burn from my retinas, even after all these years. I heartily recommend it to those who like to wonder how movies like this are ever made in the first place. Already watched it and the sequel. My thoughts are somewhere back in this thread, but I found William Marshall at the very least to be a terrific lead. The movies didn't equal his force of personality, but he was worthy. As long as we're in that year anyway... Crescendo (1972) falls under the horror umbrella too. Unlike the vampire movies though, it's just boring for the most part, until the climax. Stefanie Powers is a woman visiting a chateau in France for the purpose of writing a paper about the now-dead household head, a famed musician. His widow and son live there too, along with a couple of servants. It's a small cast most of the time, and despite lots of theoretically interesting content such as a French maid who likes to seduce the son, and the son's addiction to heroin after he was disabled in an accident, I found myself profoundly uninterested. Things come to a head at the climax, which is nonsensical but at least does have some things happening. Did you know a man can be killed just by stepping on his hand as he tries to exit a swimming pool? I didn't, but it seems to happen here. There's also a room filled with mannequins and some weapons being discharged by a crazy man, but the terrible day-for-night and limp conclusion sap whatever interest I might have felt build up. James Olson as the son has a terrible haircut that accentuates his balding hairline, lots of dull dialogue occurs, and I doubt I'll remember much except lots of studio shots with obvious matte paintings trying to stand in for French countryside. I love that Dracula 1972 theme. I'm not sure what they're going for with it, but it's kinda awesome somehow. I also always liked Peter Cushing and Christopher Lee (but who couldn't?). And yeah, you'll probably like The Martian; I'll refrain from saying too much but it's a fun movie. I got back recently from watching Ghost in the Shell: The New Movie. Kind of a dumb subtitle, but eh. I only found out soon after I watched it that it's connected to Ghost in the Shell: Arise, which may explain why I was a bit lost in the beginning. At first I was disappointed that the Major wasn't voiced by Mary Elizabeth McGlynn, but I then realized that this is an entirely separate continuity from Stand Alone Complex. Even in the Japanese version, none of the original actors reprise their roles. Actually, McGlynn does voice a character new to Arise/The New Movie, and without spoiling anything, I think the choice may have been deliberate. Music by Yoko Kanno and Origa would have been nice as well, but again, it seems they're attached to Stand Alone Complex. Just as a clarification, while I have seen the 1995 Ghost in the Shell film, my first experience with GitS was with the Stand Alone Complex TV series. Anyway, while I was a little confused at first, things fell into place despite being unfamiliar with Arise. I think it's a pretty good film. It's more along the lines of SAC as opposed to the first movie, despite Kusanagi looking closer to her design in that film. Another contemporary one! Bridge of Spies (2015) is one I kind of had to see, as Steven Spielberg's first work in three years. I wouldn't rank it among his top movies, but it's certainly not a clunker - he's had a few of those. It begins in 1957 with a near-wordless sequence showing a slight, unassuming older man being snared by the FBI for Communist spying. Someone has to defend this fellow even though all the evidence (presumably) makes him guilty, and this was not a time when Americans were kind to anyone with Communist leanings. Tom Hanks gets the unhappy job of defending this man in court, and he actually tries to do the best possible work he can. When this amounts to making an appeal, it alienates his fellows at the law firm where he was one of the top partners, and leads to family problems because of his wife and kids being tarred with the Commie brush too. Events pick up a few years later, when one Gary Powers is shot down over the Soviet Union. Students of Cold War history know that he was flying a U-2 over the USSR on a spying mission, and paraded around by the Soviet leaders as a definitive proof that the US was their enemy. Powers' story doesn't get as much treatment as it could though - Hanks' character going to Berlin to try making an under-the-table swap is the focus. I wouldn't classify this among the best Cold War espionage movies ever, but the look is fabulous. Everything feels accurate, from the recreation of flash bulbs used by the press to the fashions and architecture. That extends to the recreation of Berlin just as the Wall was being erected, since Hanks' character needs to transit between East and West Berlin. Also interesting is that Thomas Newman composed the score. This is noteworthy because every movie back to the Sugarland Express directed by Spielberg has had a John Williams score... but not this time. To be fair, Williams is in his late 80s and reputedly not in the best of health. Newman's music is mostly innocuous, but a few grim themes for the Iron Curtain locations are unveiled. I wouldn't label it among Spielberg's best, but it definitely held my interest and more. 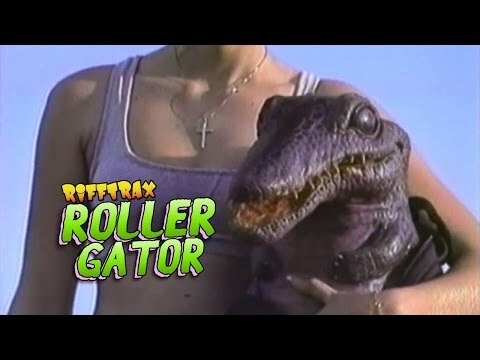 I can thank Rifftrax for introducing me to the non-event that is Roller-gator (1996). Direct-to-video movies produced plenty of neat ideas and interesting scripts. This can offer, AT BEST, a couple of tossed-off lines of dialogue that suggest far more interesting things than what we’re seeing on the screen. Hearing a character casually mention that he was hosing down clowns is far, far more interesting than seeing the scene in which he does the mentioning. The sound needs to be addressed first, because it permeates this whole cheapo production. I hope you like meandering acoustic guitar that never really bothers to form chords or any kind of melody, but is just aimless noodling. While it does go through several distinct styles, all of it feels like a jam session where no one cared to impose any kind of discipline except for a vague theme like ‘surf’ or ‘metal.’ It plays all the time. I mean all the time, including during dialogue passages when one might think hearing what the actors have to say is important. Clearly that was a naïve idea at the very least, because this guitar overrides many words. True, there are a few patches where it quiets down for a few seconds, but the sound revealed through this generosity is hardly worth cranking up the volume. What dialogue can be discerned often sounds improvised, and there are times when the microphone was either too far away or the damn guitar overwhelms it anyway. No worries though, because the cinematography is often a match for the audio! Many, many shots look rather like “selfie-cam,” in which the camera is either being held by the actor or is within arm’s reach. Many shots were clearly taken in a carnival at night, and where the crew doubtless did not have filming permission. Such other scenic sights as a passenger bridge over the freeway, a cave next to a beach, a generic office space, a similarly generic unused room, and lots of sidewalks will be on display. All of them look to have been filmed with a cheap VHS camcorder. Ah yes, and we have the star power of Joe Estevez to keep things rolling. He seems to be trying, I’ll give him that, though the little ponytail was a bad idea. He serves as the villain of the piece, with a horrible scheme to –gasp!- keep the talking alligator on display to make money. The gator’s idea is to just go back to his home in the swamp. Since he’s an irritating little puppet that raises my hackles consistently, I would be fine with keeping him on display. Too bad the movie isn’t. One wouldn’t think such disparate concepts as a heroine who rollerblades everywhere, a dark ninja for a villain, a talking alligator for a protagonist, and a wandering mountain man looking for that gator would be rendered so off-puttingly dull. They are though. Yes, the heroine rollerblades as her default transportation. Yes, she is pursued by a ‘dark ninja’ on a skateboard. Yes, she has a talking alligator (puppet) in her backpack. Yes, the gator talks of a friend, who is apparently played by someone who worked with Ed Wood once upon a time and is now actually slumming by being in this. All of it is rendered as incomprehensible irritation though. Thanks Rifftrax, this is one of the bigger cinematic turds you’ve managed to unearth. Is Peach a terrible name for a woman? Apparently the writers thought so, because good old Daisy from Donkey Kong days was brought back for the name of our female lead. Princess's name was Toadstool in 1993. I don't think it was fixed to Peach until the N64 era. Like any gaming kid in the 90s, I saw that movie and was confused beyond words by it. I doubt I could take 5 minutes of it now. Heavy Metal (1981) is a cult film. I wouldn’t even claim the title is completely accurate, unless you’ve always thought Journey counts as metal. Sammy Hagar counts as metal, sure, especially since this is from a time before thrash and other such pure noise. Journey I’m having a hard time convincing myself of though. Anyway. It’s animated and rather disjointed because of the episodic nature. The overarching story concerns a green glowing orb that can disintegrate people, telling a young woman its place in history because… heck if I know. That lets us watch a series of vignettes showing some alternately fascinating and bizarre (often simultaneously) stuff. First is a depiction of New York in the future, where it looks far uglier than the present day. I did appreciate the use of a disintegrator in the back of a taxicab. Future stories involve a nerdy teenager getting sucked across the universe to inhabit a Greek god’s level of body (and voiced by John Candy), a couple of potheads steering a spacecraft, the trial of some heinous criminal who looks like Captain Marvel on a space station, and eventually a much lengthier story of some mute woman who is the archenemy of … something. I think it’s the green orb, but other antagonists intrude on that a bit. The animation style is rather interesting. I hope you like animated breasts, because they’re everywhere in this thing. Several sweeping panoramas of vast alien landscapes happen, and while they’re interesting the time with nothing happening becomes a bit much. If you want animated blood & guts, those are in this too, though not on the level of something like Ninja Scroll. For all of what it does in an interesting way though, I was never terribly captivated. The episodic approach is part of that, I’m sure. Much of what we see looks like it was created by guys on drugs as well, except not the most fascinating demonstration of what drug-addled minds can create is depicted. Garbo Talks (1984) died quickly at the box office. I believe it’s attempting to be some kind of light comedy, from that master director of comedy Sidney Lumet (12 Angry Men – Fail Safe – Dog Day Afternoon – Serpico – Network – The Verdict - all laugh riots). As an example of a rare Ron Silver leading role, it’s kind of interesting. It sure isn’t funny though, and that ruins a lot. The setup is that Silver’s mother (Anne Bancroft) is a just-barely-ex radical from the 60s and 70s. Aside from watching older movies, she has no soft side. This woman picks a fight over a price increase at the grocery store and gets jailed over her refusal to pay it, that’s the kind of character she is. Then she gets cancer and doesn’t have much time to live – but keeps trying to be a radical in the hospital. It’s no knock on Anne Bancroft to say that this is a detestable human being. I think it’s supposed to be humorous when her son relates that his mother refused to cross a picket line in order to attend his wedding, but the amusement is lost on me. 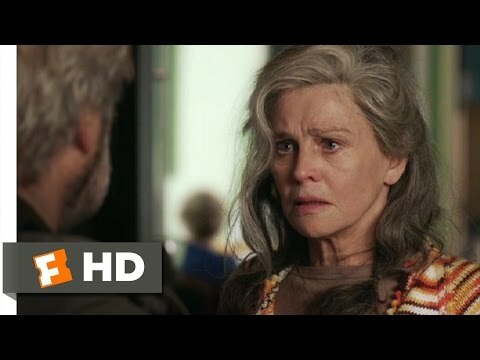 Silver’s wife is Carrie Fisher, who doesn’t get to do a whole lot except become increasingly angry at her husband’s bizarre willingness to go through hoops to grant his mother’s wishes. What does his mother wish for? Why, to encounter Greta Garbo, the legendarily reclusive actress who had been retired for over 40 years when this movie was made. This movie also makes one of the stupidest errors a bad movie can: to play a good movie in the middle. We get about a minute of footage from Ninotchka, reminding us of both Garbo in her prime and what an actually funny movie is like. The comparison does this film no favors. A sample of the movie’s would-be humor level comes when Ron Silver has to solicit aid from a co-worker. She’s played by Catherine Hicks, and is lying on her office floor making strange noises when he arrives. These noises are part of some kind of practice for her stage acting, and after his arrival she asks Silver to grab the cork for her. This she places in her mouth and continues to breath loudly. While this is certainly odd, I didn’t find it funny. Later in the movie, we get the guaranteed laugh riot of a marriage breaking apart, and Silver starting an affair with Hicks because they get along really well. Why is the marriage breaking apart? Because he’s still trying to do a favor for his angry mother, and his wife is understandably not happy when this is a woman who’s never liked her. Hilarious, right? Also notable is an early Harvey Fierstein appearance when Silver is searching out Garbo’s location. Fierstein doesn’t get to do much, but his distinctive voice and appearance mark him. The conclusion is awful, simply awful. Someone who might look like Garbo but is only seen from the back, and thus could be a stuntman for all we know, is found. Garbo never speaks, so the title is a lie. Bancroft gets to indulge in one of those long takes while the camera slowly zooms on her, while speaking a tearful monologue that goes on forever, while the stuntman just has to sit there. Eventually the noisy woman shuts up so she can finally die, Garbo walks off, and Silver gets to have fun with Catherine Hicks while a pop tune plays over the credits. Yuck. I remember wanting to see this movie sooo much as a kid. The scene is early 80s Yugoslavia, communism and stuff, one or maybe two TV channels operating for maybe 8-10 hours total daily, on average one movie per week (Sunday, and after that - Smurfs <3). Just watched Leone's "Once Upon a Time...", first full movie I saw after 4 or 5 years (it was likely my 3rd time seeing it). PS to explain "long time no movies" - I prefer interactive comedy and drama, such as, say, PvP MMORPGs. Crowfall ... ... or Camelot Unchained...? The Fly (1958) seems to be lumped in with many other cheapo 50s sci-fi efforts. It doesn’t deserve that association, as this is not a cheesy movie. A couple of the effects are arguably laughable now, most particularly one at the end that has been ripped off enough over the years to need no spoiler warnings anymore. The acting, script, and concept are treated strongly though. Anyone walking into the movie cold will probably be perplexed that it begins as something of a mystery. A woman has been seen running from an industrial press that was used to squish a man’s head into unidentifiable gore, and upon being tracked down readily admits that she did this to her brother-in-law. Said brother-in-law is played by Vincent Price, while the head investigator of the case is Herbert Marshall, but neither is the real star. It takes half an hour for the flashback into how his sister-in-law came to voluntarily kill his brother to appear though. Until then the only real clue we get as to what happened (for those not in the know) is that she has an inordinate obsession with flies, looking for one with a white head. Once the flashback begins, we see a happy stereotypical 50s family with a father who gets wholly absorbed into his scientific work but is a great guy otherwise. He’s developed a matter transporter, and demonstrates it to his wife with a piece of tableware given to them as a wedding present. She observes something odd though – the lettering on the back is now backwards. This would be a significant problem in a living being, and he devotes himself deeply to the task of making the thing work right. Then he attempts a transfer with a living being – the family cat. It’s not a success. To make sure nothing like this happens again, he determines to make himself the subject with the next test. This story is somewhat familiar from all the parodies and reference over the years, but it’s surprisingly strong even so. The movie is not a campy fun time with poor acting and a laughable script, like any given Roger Corman piece from the period. It clearly had a good budget and talented actors, and the premise is executed about as well as one could ask. There is a big reveal moment, and it still packs a punch. I would probably give David Cronenberg’s The Fly the edge as far as overall quality, but this is a very good title anyway. Interactive comedy and drama is one way of classifying online titles, I suppose. I don't play them though, and usually manage multiple movies a week. Also, since Leone made two movies with "Once Upon a Time..." as the title's start, I'm just going to assume you watched In the West because In America is best experienced with the 4 hour version - and it was a flop at the time, sadly. The bit with the cat was hilarious because he uses the family cat, then decides to swear off animal testing altogether. Extremely polarized views from the same man, arguably unrealistic. They needed to come up with a better way to get him into that machine. I can buy it ... a little bit. This was that ultra-dedicated type of scientist after all, one who mostly forgets his family is there when in the lab. The best possible means of getting him to experiment on himself? Not at all. Fantastic Four (2015) has been dumped on by a lot of people, and now that it’s officially a bomb 20th Century Fox may relinquish the cinematic rights to this particular group back to the overall Marvel film umbrella. I would love to say that it’s a misunderstood masterpiece that everyone missed out on. That is unfortunately not the case, and my time with it was spent abstractly admiring some of the ideas on display while lamenting their execution, or just plain baffled. Someone edited this to within an inch of its life, and it shows, mostly in the last third when the pace picks up needlessly. The first two-thirds aren’t an unqualified triumph, to be sure, unless seeing a fairly dark rendition of the Fantastic Four’s origin story was your top desire. We begin with a prologue in 2007, back when Reed Richards and Ben Grimm are in the fifth grade. Already the movie’s tone is uncertain, starting with a character talking about his career plans as a joke, then introducing Reed with an elaborate concept for developing a teleportation device. Well, I remember fifth grade, and anyone who did the amount of work this kid put into the job would not have been left hanging by a teacher clearly aggravated at having to suffer someone being serious in front of the class. Reed has put together an impressive device in his garage, one that is capable of sucking enough power off the New York grid to induce a blackout in what looks like an entire borough. He does this with the help of Ben Grimm, whose family we meet briefly living in a scrap yard. I never knew ‘It’s clobberin’ time!’ came from the threat Ben’s older brother made to beat him, but that’s how this movie has it. Things pick up seven years later with the pair in high school, having constructed a device that clearly has considerable power at a science fair. Reed is still not taken seriously by faculty members, something I find impossible to accept. No worries though, because Dr. Storm sees the experiment and offers Reed a place in his special academy at the Baxter Building for scientific abilities. Ben doesn’t get to come along sadly. Reed is now played by Miles Farmer, doing solid work with weird script. He meets Sue Storm, adoptive daughter of Dr. Baxter, and eventually Johnny Storm (Michael B. Jordan), who gets sucked into something he would rather not associate with by the destruction of his car in a street race. They also meet Victor von Doom, a computer geek with a dislike for the human race. These four work on a device to take them to the place Reed has actually been teleporting things from, a planet in an alternate dimension. Ben is kept in the loop via occasional social media posts from Reed, only to be reinserted when the three guys (no Sue) decide that rather than let professionals make the trip to the alternate world, they’ll do it first. Now, there’s a lot of stuff I dislike about the lengthy setup of this movie. Let’s start with the presentation of Victor von Doom. When I picture this guy, I do not picture some computer programmer with a patchy beard and an attitude. He has a thing for Sue Storm, and intensely dislikes humanity because it’s ruining the planet. Oh, and he’s on Reed’s level intellectually. Otherwise there isn’t much to say, which is a damn shame. Reed is okay I suppose. Sue is similarly okay – I’ll grant that she’s better here than Jessica Alba, but acting rings around Alba isn’t hard. Ben is barely in the movie for the middle section. Johnny… again, okay I suppose. My issue comes from his introduction during a street race, during which his cell phone seems to be playing “Standing in the Shadows of Love” as its ring tone. Except that it plays the whole song with great fidelity, which is not how ring tones work. Many technical montages get us to the testing phase, and a CG chimpanzee goes to the other dimension and comes back. Now the four guys go as a human test, and find what looks like primordial Earth as rendered by CGI. Johnny gets to have a humorous moment that will be dated soon (“This is going on Instagram!”), and also raises the question of how video and audio are being transmitted between the dimensions, let alone wireless signals. Then our intrepid explorers go down a cliff that they brought rappelling gear to deal with (very well planned, this impromptu expedition) and investigate some freaky green stuff that suffuses the underground of this planet. It all goes crazy, and Doom is left behind as green stuff goes crazy. Ben, Reed and Johnny make it back with an energy wave flying right behind that zaps the facility and hits Sue in the teleporter’s control booth. These four are then picked up by the military and taken to a facility for study, only after Reed realizes that the energy wave made his limbs stretch to horrid proportions. In that facility, Reed effects an escape while the other three are left behind. Now it’s time for One Year Later, and a lot of wondering commences about how much editing happened. Ben has turned into a shock unit for the military, Sue knows how to use her powers, Johnny is almost ready to also be a shock unit for the military, and Reed… well, he disappeared for a year and is supposedly researching a cure. He’s tracked down and head-butted by Ben/Thing pretty fast, then brought back to assist in getting back to the dimension our military figures haven’t been able to reach again. That sets up a rushed conclusion in which Dr. Doom is able to make people’s heads explode and wants to destroy Earth so that he can keep the barren, lifeless alternate planet pristine. Well, this movie does a lot of stuff. Is it better than the 2005/2007 renditions of the FF? In some ways, I guess, but that doesn’t make it good. The CG at the climax is flat-out bad, the editing in the last third makes it clear lots of stuff was left on the cutting room floor, the structure is baffling, and the characters don’t get enough time to come alive. I can appreciate in the abstract what it was trying to do, but it failed at most of what was attempted. Away from Her (2006) is a quiet, sobering examination of an older couple attempting to deal with dementia. This is not a happy subject, and the movie couldn't be uplifting unless it flat-out lied. Having been around dementia, I can say it's portrayed realistically here. Such does not make for a cheerful feel-good romp, and I was already having a bad time when I watched it so my reaction wasn't the stoicism I usually seek. Nevertheless, it's well done. Julie Christie and Gordon Pinsent play the couple, married for 44 years and currently living in Manitoba. She's starting to have issues - putting a freshly washed skillet into the freezer, forgetting the subject of the current conversation, going out for a ski and not coming home, things in this vein. They make a mutual decision (though hers is the deciding voice, since his willpower sags when actually confronted with this thing) to put her into a home on a trial basis. This particular place has a rule though: no visits for the first 30 days. The logic is sound, being that these are people who could easily be confused and need to accept this as their new domicile, but it's not easy for him to wait it out that long. When he is allowed to visit, and comes bearing flowers, she treats him in a friendly way but has obviously forgotten that they are married. Instead she's latched onto another man in the institution, one who never says anything and is in a wheelchair. Eventually this man's wife (Olympia Dukakis) takes him out of the place, and the result is that Christie loses all will to do anything, still not remembering her husband. The structure is not strictly chronological for reasons I can't fathom - this is not a movie about narrative surprises, so what was the point of doing this? Otherwise director Sarah Polley does a good job quietly telling a sad but commonplace story. These are specific individuals, but waning mental abilities are hitting millions. Obviously not for everyone, but effective. 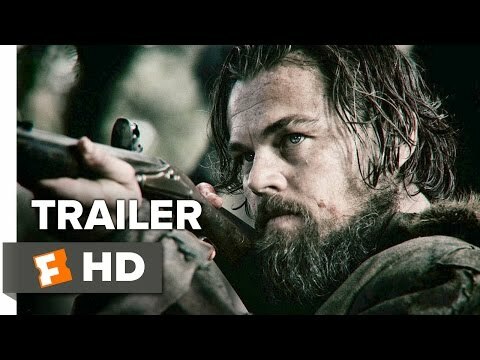 The Revenant (2015) is the kind of movie I admire greatly, and have no desire to ever see again. In that respect I suppose it's a bit like Les Miserables from a few years ago, though the reasoning is quite different here. At the very least I found much more worthwhile stuff here than from Alejandro G. Inarritu's last movie - but I put some thoughts down about Birdman elsewhere in this thread. At heart this is a period piece revenge thriller. I'm not quite sure what period it is - there are Frenchmen trading with the Natives, and Missouri is mentioned several times, so I'm guessing the 1810s or so. Glass (Leonardo DiCaprio) is the guide for a group of men collecting animal pelts for transport and sale. The group is attacked by Ree, and most of its members slain with most of the pelts lost. In scouting the remainder's path back, Glass gets between a mother grizzly and its cubs. He doesn't die from this, but caring for him with the methods of the time is back-breaking labor, and eventually the captain in charge takes a few volunteers to watch Glass while the rest get back to a fort without the need to carry a gurney over mountains. One of those left to watch Glass is Fitzgerald (Tom Hardy), whose relationship with Glass has not been cordial. Fitzgerald eventually decides that he's done enough and will leave Glass behind. When attempting to suffocate the man brings the intervention of Glass's son Hawk, Fitzgerald stabs the boy to death. He then cooks up a story about approaching Ree to get the other man left behind on board, and Glass is hurriedly deposited in a grave with a smattering of dirt left over him. He's not dead though, and despite the awful shape his body is in, the need for vengeance drives him on. Inarritu is reputedly a taskmaster on the set, and I have nothing bad to say about the performances - they're first rate. I wasn't too impressed with the digital grizzly, but I guess I didn't have to be. Lots of picturesque scenery is shown, most of it in winter conditions that did not make me want to visit. The fundamental aspect of this movie that must be emphasized is how brutish it can be. The look of the time is rendered superbly - which means stringy hair and dirty clothes on men who don't get to bathe much. In this case the lack of Smell-O-Vision is very much appreciated. DiCaprio's body gets put through nasty, nasty stuff, and while it's not the worst I've ever seen the ugliness of what it looks like is shown. The sound department is superb too. When music does show up it's often atonal and unpleasant, while most of the time ambient sound is deployed instead. This is a movie in which harsh breathing and gasps may constitute more of the sound from actor's mouths than words. I still think Inarritu tried throwing unnecessary stuff in here that's patently symbolic without needing to be. Nevertheless, I'm happy to have seen this so I can laud its technical aspects. That doesn't mean I want to see it again - it's a draining experience. One moment in particular occurs to me as an illustration of this. There was a scene in The Empire Strikes Back where Luke was kept alive by being placed in the body of a dead animal - imagine a far more realistic depiction of this with a dead horse specifically, and then watch it happening. Not a pretty picture. 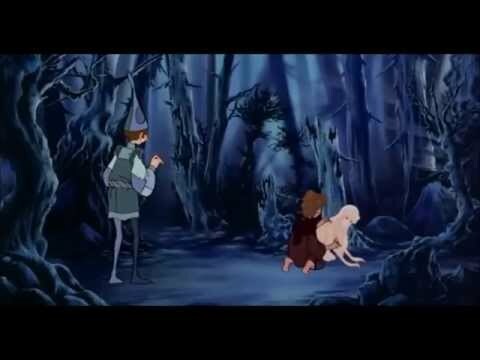 The Last Unicorn (1982) is an odd beast. Children's movies, or at least those with children as the intended audience, are rarely this slow-paced and dreamy. Certainly not now, but even in the different time of that era, movies tended to be more conventionally structured. The narrative finds an unnamed unicorn wondering whether she is indeed the last of her kind, and seeking out her fellows. After several episodes along the way their captor (of sorts) is finally located, but the gradual pacing even once the antagonist has been unveiled is still interesting. I was initially unimpressed, but ended up kind of liking the thing when it was over. Not a newfound classic for me by any means, but rather interesting and rewarding. Some of the voice acting - actually most of it - is intriguing. Angela Lansbury as a witch holding the unicorn and a harpy prisoner? Alan Arkin as a young wizard? Christopher Lee as Haggard, the isolated king holding the other unicorns in statis - well, that one's not too unexpected. Mia Farrow as the unicorn is fine, but I have to wonder why Jeff Bridges as Haggard's adoptive son was so eager to be involved with the project if his performance feels so blah. Might be the prince's character though, which is not a very interesting one. Other interesting bits are a pirate-y cat which shifts its eyepatch as desired, a skeleton which never got over its apparent love for wine in life, and a brief appearance by a real court magician who lets himself get fired pretty easily. America performs the music. Yes, the band behind "A Horse with No Name," though nothing here is as insidiously catchy to me. Oh, and we get to hear Mia Farrow demonstrate why she didn't have a singing career. The animation isn't great, and that's probably because Rankin & Bass got the gig of producing the project. Never on the top tier of producers monetarily (and not long after the animated Hobbit that I remember seeing many times as a kid), the human characters actually do look kind of like those in the Tolkien adaptation. Some of the images are pretty, and others look sloppy. Many of the people involved would go on to form Studio Ghibli's talent pool very soon. Yes, Fantastic Four movies all suffer from the same fault: they can't seem to put together an awesome origin story for the group. The latest movie re-tooled the origin quite a bit, and it didn't work for me. I'll note that both of the FF movies tie the team's origin and Dr. Doom's origin, which feels like a mistake to me, since Doom's character has a fair bit of backstory that predates the FF's origin. If the movie writers don't want to dig into that, maybe they should leave Doom out. I'll admit that I don't know how to fix this problem, either.